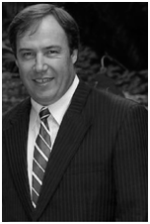 Bruce Flanagan is an Executive Coach with EDA Asia Pacific and based in Ho Chi Minh City, Vietnam. Bruce is an experienced executive and leadership coach who has spent over 20 years working in the field of human performance and is a keenly sought after by multi-national & local companies alike. Organisations like Microsoft, Deutsche Bank, KPMG, Bayer and Nielsen regularly call on Bruce Flanagan when they want to align people’s behaviors with a company vision or business objective. Bruce is a unique and dynamic coach and brings a depth of human caring to those he works with. His success in facilitating improvement to organizations’ employee retention rate, their team performance and their overall leadership effectiveness, has given him the reputation as a leader in his field. 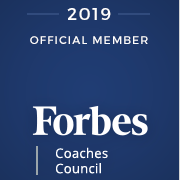 Bruce is also a Certified Meta-Coach, which endorses that Bruce has been benchmarked by the coaching industry and his clients as being of the highest caliber in terms of professionalism and coaching skills. Australian by birth and Vietnamese by choice, Bruce lives in Ho Chi Minh City with his wife and children. He travels extensively throughout Asia.